This competition is now closed. You can find winners, judges information and more below. JOPP is returning in 2018 and you can find information on the JOPP 2018 page. 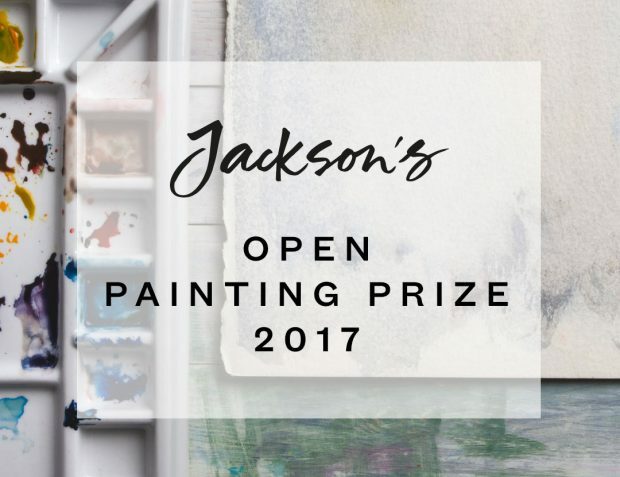 The Jackson’s Open Painting Prize exists to recognise and appreciate original, 2-dimensional fine art works in any painting or drawing media. Photographs, computer generated or manipulated artwork and 3D sculptural works are not eligible for selection. 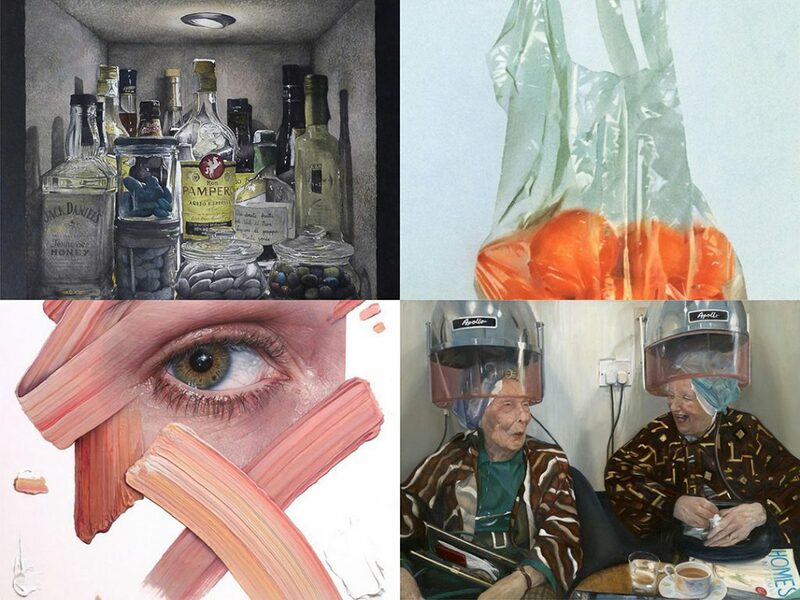 The annual competition offers an on-line showcase and impressive prizes for contemporary and traditional visual artists, both emerging and established. Because the finalists will be shown in an online exhibition there are no barriers to international submissions. We welcomed entries from artists in any country and of any age. In 2016, Jackson’s ran it’s inaugural major art prize. The Jackson’s Open Art Prize (JOAP 2016) received 3000 entries from all over the world, with many exceptional submissions that excelled in originality and craftsmanship. Our final prize winners can be viewed here. The prize has been renamed to further distinguish our selection criteria from 3D sculptural works. 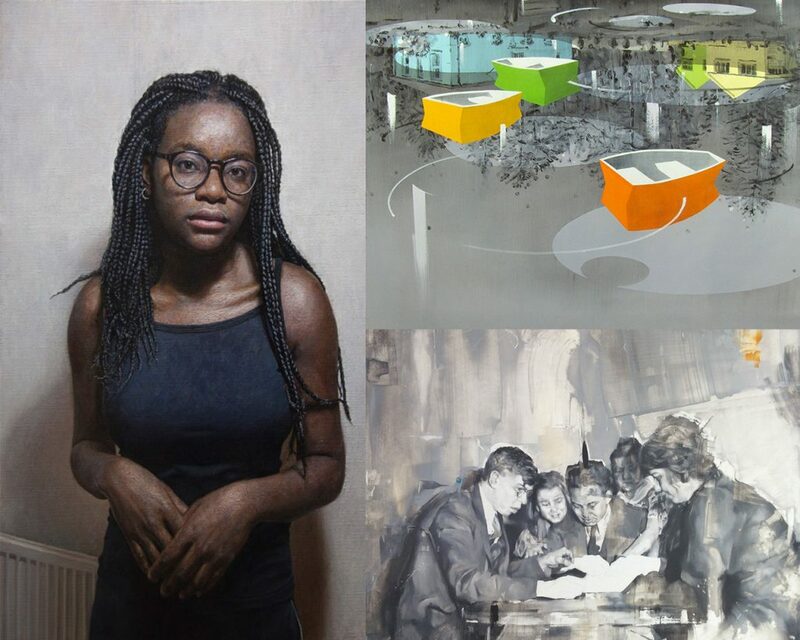 We had a two-tier selection and judging process: the Jackson’s selection panel selected a longlist and then a panel of expert judges (curators, gallerists and artists) selected first a short-list and then the winners. Drawing/Dry Media Prize: £1000 cash. Top Row L-R: ‘Welcome to my personal bar’ by Giovanni Balzarani, Winner of Watercolour Category. ‘Oranges’ by Anna Roberts, Winner of Pastel Category. Bottom Row L-R: ‘A Meticulous Disorder’ by Simon Hennessey, Winner of Acrylic Category. ‘Mrs Damon and Mrs Healey (2nd version)’ by Teri Anne Scoble, Winner of Oil Category. 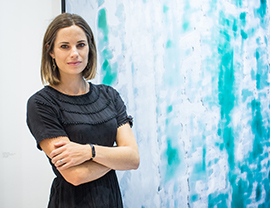 Anna Bromwich is an art consultant based at Mall Galleries, London, where she is responsible for sourcing, commissioning and renting art for private and corporate clients. She curates and co-manages Mall Galleries’ online gallery, Buy Art | Buy Now, and curated the exhibition By Popular Demand, a survey of the visitors and selectors choice awardees from the last eight years of The Columbia Threadneedle Prize, which opens on January 9. Anna has worked for a number of commercial galleries in London and Paris and has taught in the French architecture university ENSAPB. Since graduating from the Royal Academy Schools in the late 90s, Nick Archer has steadily built a reputation as one of the country’s most intriguing painters of both figure and landscape. Archer’s paintings possess a nocturnal, Lynchian quality that suggest a shocking, dystopian vision of the world in crisis, a journey at an end. His most recent work combines a painting style reminiscent of the Early Northern European Tradition with the genre scene backgrounds of artists like Breugel, Uccello and Bosch to more contemporary cinematographic language of recent dark fairy tales such as del Toro’s Pan’s Labyrinth and Burton’s Edward Scissorhands, Sleepy Hollow and Alice in Wonderland. Archer is currently represented by Long & Ryle, London and by Gowen Contemporary Art in Geneva. He has exhibited extensively, including at The Threadneedle Prize, the Lynn Painter-Stainer’s Prize, The Jerwood Drawing Prize, The Royal Academy Summer Exhibition and the BP Portrait Award. He lives and works in Rye, East Sussex. 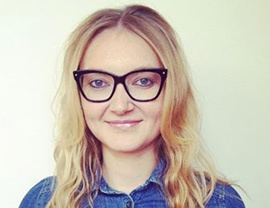 Roma Piotrowska works as an Exhibitions Manager at Ikon Gallery. She also works as an independent curator, project manager and writer. She worked on the development of Iraq Pavilions at the Venice Biennale in 2013 and 2015; and is the curatorial assistant of its upcoming edition at the 56th International Venice Biennale Art Exhibition. Previous roles have included working as a Curatorial Assistant for the 4th Guangzhou Triennial (2012, China). Her research interests focus around archives, memory, identity, politics and economy in relation to art. 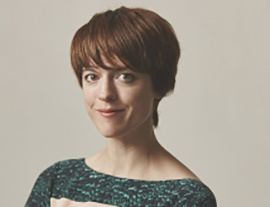 Rebecca Gordon is the Head Curator of the online contemporary art gallery Rise Art. She is predominately focussed on recruiting talented emerging artists to the site and managing Rise Art’s board of Insiders as well as advising Corporate companies and private individuals on their art collections. She previously worked for Hazlitt Holland-Hibbert (London based Modern British dealer in 20th century art) and before that John Mitchell Fine Paintings, London (dealer of Dutch Old Master and 19th century French art). She has an M.A. in History of Art from Edinburgh University. Catharine Davison is a visual artist based in Edinburgh where she combines a career as both an artist and educator. Drawing and painting from direct observation on location is at the heart of her practise. 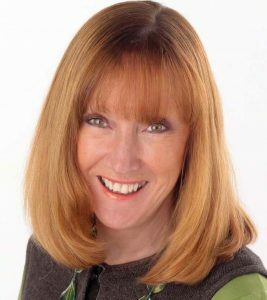 She has been showing her work throughout the UK since 1994, winning several professional exhibition awards. This included the Lynn Painter-Stainers Prize in 2014 for creative representational painting at the Mall Galleries, London. Her work is represented by the Open Eye Gallery, Edinburgh. 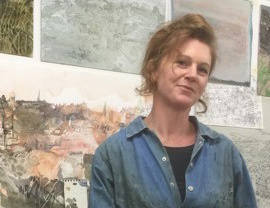 She is currently involved with the planning and delivery of courses at the University of Edinburgh, Leith School of Art, The National Galleries of Scotland and at Loretto School in Musselburgh. 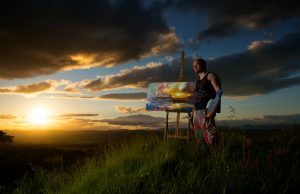 Scott Naismith makes colourful and expressive work that captures the constantly shifting light of the Scottish landscape around him. 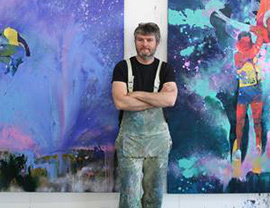 His work has recently gone international following an exhibition with Gallery 13, Downtown Minneapolis; before this he exhibited across the UK. As well as receiving various prizes and awards for his work, Scott lectures part time at West College Scotland. Richard Pikesley has an established practice and career working in oils and watercolours. His painting process includes multiple steps – often starting with an instinctive life study painting, he follows this with a series of considered drawings and larger paintings. 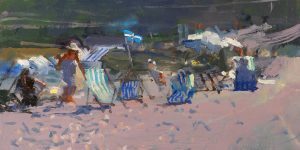 Richard has received many awards and scholarships, most recently including the Chairman’s Prize & South West Regional Prize, and is part of the Royal Watercolour Society (RWS). 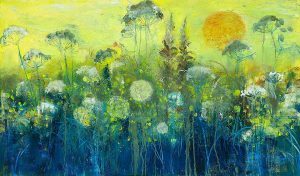 Ann Oram has exhibited across the UK and has work included in many public and private collections across the world. 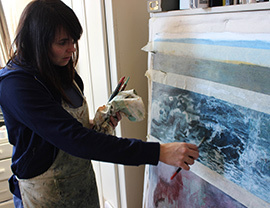 Her work spans many themes and is drawn together by her use of colour and distinct mark making.